Good hospitality is easy to define: When the guest leaves the hotel happier than when they arrived. 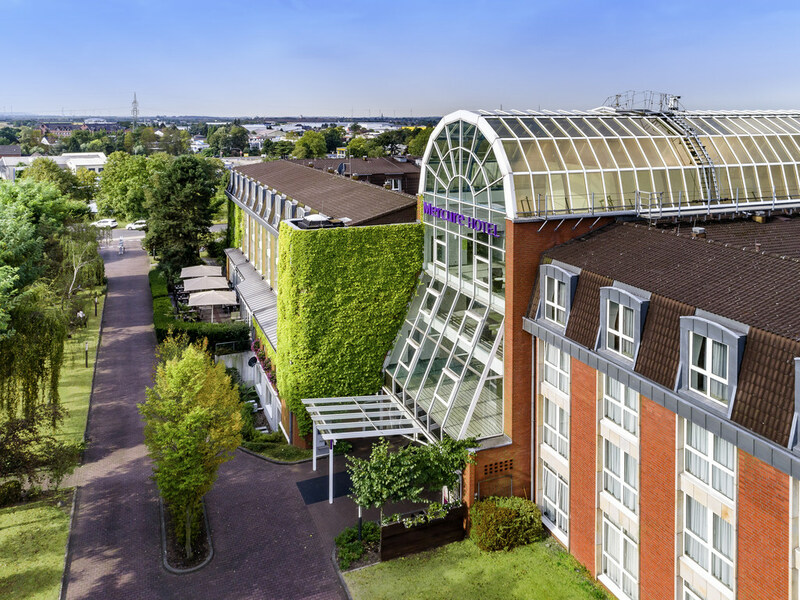 The 4-star Mercure Hotel Düsseldorf Kaarst is characterized by its quiet location, excellent transport links and supreme comfort. The hotel is located on the outskirts of Düsseldorf, on the left bank of the Rhine. Thanks to the connection to the A57 and A 52, all destinations in the state capital and surrounding area can easily be reached. The hotel has 192 air-conditioned, soundproofed rooms. WIFI is free of charge and you can park your car in the paying hotel car park. State capital of North Rhine-Westphalia, trade fair city, fashion center, art metropolis - the list goes on. Politically, economically and culturally Düsseldorf is in an excellent position with international appeal and a sophisticated way of life. Space to relax! The Mercure Hotel Düsseldorf Kaarst has 192 comfortable Standard and Privilege Rooms measuring 248 sq. ft. (23 m²) to 301 sq. ft. (28 m²), and 484-sq. ft. (45-m²) Suites. All rooms are soundproofed and have adjustable air conditioning. Rooms feature a desk and free WIFI, a safe and a flat-screen HD TV with all channels free of charge. One child up to 12 years of age can stay in their parents' room for free. Your pet is welcome for a charge of EUR 10 per night. Sample our delicious Rhenish cuisine in the Carolus restaurant or why not try one of our international dishes? Take the time to enjoy the green surroundings of the hotel. The restaurant is open daily from 12:00pm to 10:30pm. Our Hi-Light Lounge Bar with its elegant atmosphere is the ideal place for a refreshing drink, an invigorating coffee and a lively conversation with business partners or friends. With Sky TV. Open daily from 9 AM to 1 AM.